Filling Blanca post translation requires care and accuracy. You need to correctly enter passport data and clearly indicate the address of the recipient/sender. For legal entities there is additional writing in the form of Bank details. 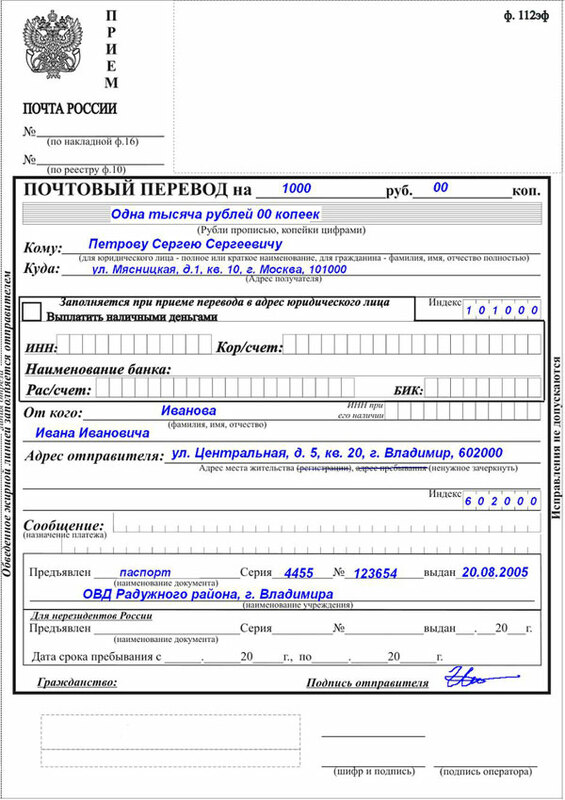 mail order form form 112эф, the passport of the citizen of the Russian Federation, Bank details and VAT number of the legal entity. For the sender: to make the form post the translation of surname, name, patronymic or the name of the enterprise/organization. To enter complete and accurate address of the sender/location of the organization and postal code. For the recipient: fill in the blank post transfer full passport details stating the number, series, issuing authority and date of issue. To specify the address of residence or location of organization. To fill the mail order form should be legible, in order to avoid misunderstandings when it is delivered. Permitted the entry of information in block letters. Corrections to the form are not allowed. The address includes the name of the Republic, territory, region; name of the district and the village; street, number of houses and apartments. In some cases it is supplemented with a po box or writing "on demand". Incorrect spelling of the index may result in a delay of correspondence in the way. 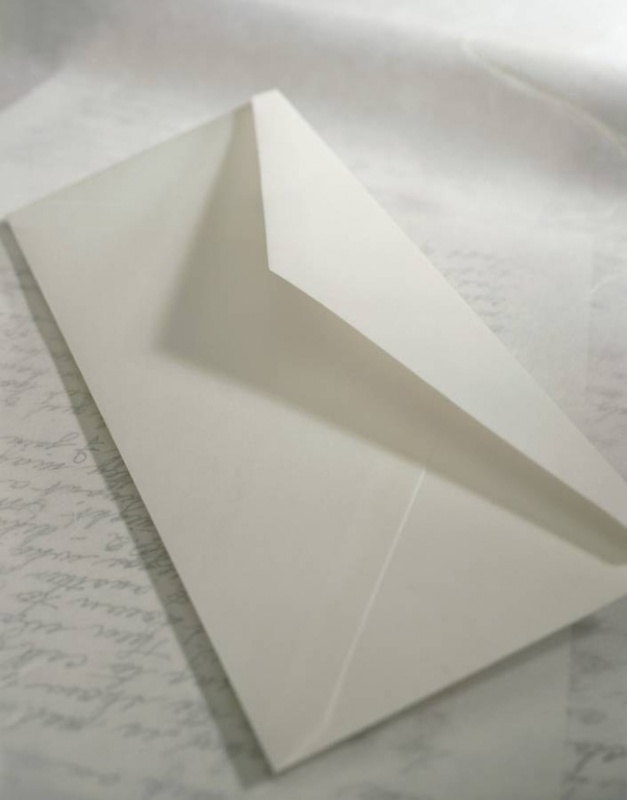 The sender fills in a fragment of the front side form mail order, outlined with a bold line. The recipient enters their data in the area of the reverse side of this form, also in bold below. All the information is filled in by the sender and the recipient in Russian or state language of the Republic of the Russian Federation with the subsequent duplication in Russian. International transfers must be in Roman or Arabic letters. If the sender or the recipient is a legal entity, it is necessary to designate the Bank account: settlement account, name of Bank structure, its correspondent account and BIC, as well as INN of the legal person. In addition, the registration address and actual location of the organization. Data on letter mail transfer, came in your name, the parcel shall be specified in special notifications, by means of which the recipient is notified about the received for shipment. In order to receive correspondence or parcel, to come to their post office with a properly completed form of notice. If you act as a sender, you also have a way to mail. If you are the recipient of the parcel, after the postman will hand you a notice mail (form 22). When you receive a notice of administration must be filled accordingly. On the front side you do not need to write. All this work was performed by the sender. You only need to check the details of the recipient of the correspondence, that is, your name, address along with the index, type of package (letter, notice, parcel, parcel or postal order). The following is information for post office employees: the number of the post ID or postal order. And below again the details for you, from which it is clear where it is the administration indicated its value and weight. But the flip side of the notice is intended to directly fill in the recipient. Here you must specify the name of the submitted document proving your identity. Usually for this purpose is a passport. Further, in appropriate boxes, indicate the series, number, issuing authority and date of issue. In the case of receiving mail and money transfer filled in additional fields of notification, registration address or po box. Don't forget to indicate the date of receipt of correspondence or packages and the data: surname, name, patronymic. Finish completing your own painting. If the letter or packet is attached, return receipt requested postage, in addition notice you have to fill out another form. It is needed in the case when the sender wants to be sure that the package reached the addressee. In the notice to the recipient (addressee or his legal representative), you must specify who handed over the shipment. If it is received at the proxy, it should be in a special field to insert the surname, name, patronymic of the representative to whom the proxy was issued, and present a document proving the identity. Then specify the date and sign the receipt. If the message is from you, then on the face of the notice, specify a category and a post, putting a sign in the appropriate boxes. Next, name your data: surname, name, patronymic, enter the address, and the category of notification: a "Simple", "Custom". On the flip side you need to fill, which should be determined by type and category of the forwarded mail; personal information of the recipient and his address. When filling in postal forms, carefully verify the specified data.